He strung together three consecutive shutouts, performances that earned him front-page headlines in the hockey world and worthy accolades, including the nod as the NHLPA.com Player of the Week. And though his streak came to an end on October 27, Quick's efforts won't soon be forgotten. 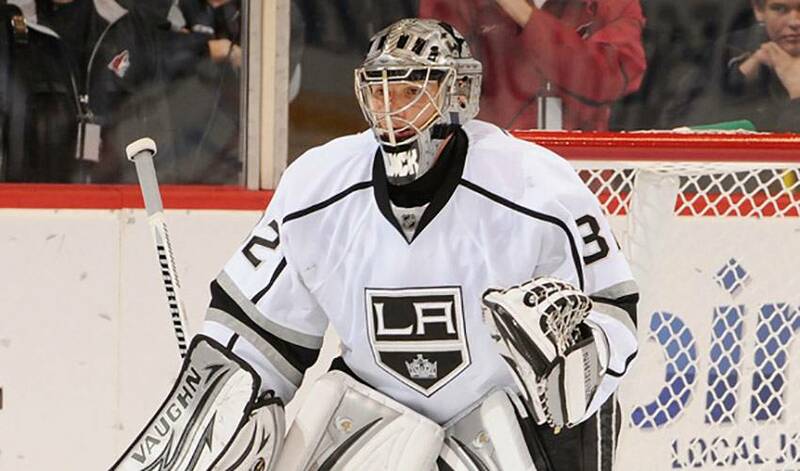 Quick became the first goaltender in the Los Angeles Kings' 44-year history to record three consecutive shutouts as defenceman Jack Johnson scored in the third period of a 1-0 victory over the Dallas Stars on October 22. And while you'd think he'd have plenty to speak about when it comes to his play, Quick, who also owns the Kings longest scoreless streak at 202 minutes and 11 seconds, is by no means a big-talker. It's obvious Quick, the 72nd overall selection of the Kings in the 2005 NHL Entry Draft, is living up to his words. In this instance, that would be praising three pipes and all of his teammates. Especially when the difference in earning a playoff spot or sitting on the sidelines in the both conferences can some down to one game. The Kings finished seventh in the West, just one point out of fourth and four clear of tenth. This year, their path towards another post-season appearance began in Europe, where they played two games, one in Germany, the other in Sweden. Quick is ready to play his part on a team that's pegged as a legitimate Stanley Cup contender. Which is why Quick is reluctant to dwell on his past successes. Still, it's a good feeling for Quick in knowing that he's capable of squaring off against the league's best shooters. But there's on person in particular he won't be upset about giving up the odd goal to. So does her dad, a goaltender, not a Hollywood movie star, but a man playing a lead role in Los Angeles' quest for their first league championship.